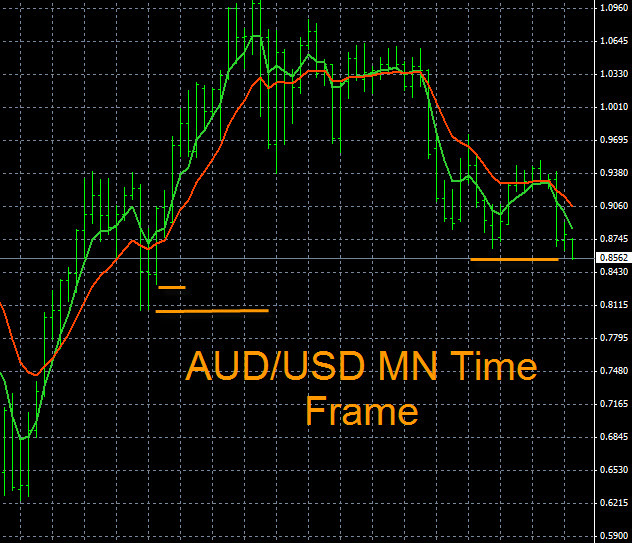 The AUD/USD trend analysis shows that this pair is in a down trend on the larger time frames. The image below is the MN time frame and trend. This pair has a current support level at 0.7370, shown by the red line, you can set a price alert here. When the price alert hits you can check The Forex Heatmap® signals to verify any sells. Overall potential is excellent, down to as low as 0.6300, noted by the red lines. This is 0ver 900 pips of potential, so this is excellent risk/reward ratio for a trade. 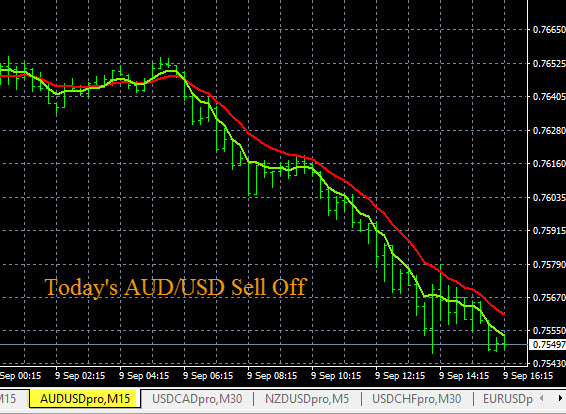 Today in forex trading the AUD/USD had a sell signal. The overall market had consistent US Dollar (USD) strength on all pairs. The JPY (Japanese Yen), AUD (Australian Dollar) and NZD (New Zealand Dollar) were also somewhat weak, contributing to the price movement on these pairs. The AUD/USD dropped and the next nearby support level is around 0.7700. As this pair approaches this support level we would scale out lots on any sell positions. 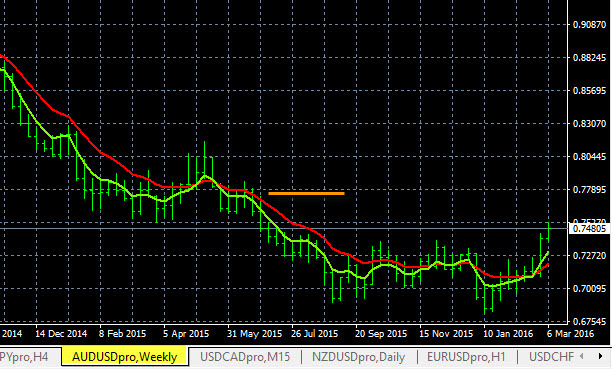 Due to today’s market conditions the NZD/USD also dropped and the USD/JPY rose. The live AUD/USD trade signal you see below is from The Forex Heatmap®, which provides trading signals for 28 pairs, including the major USD pairs. 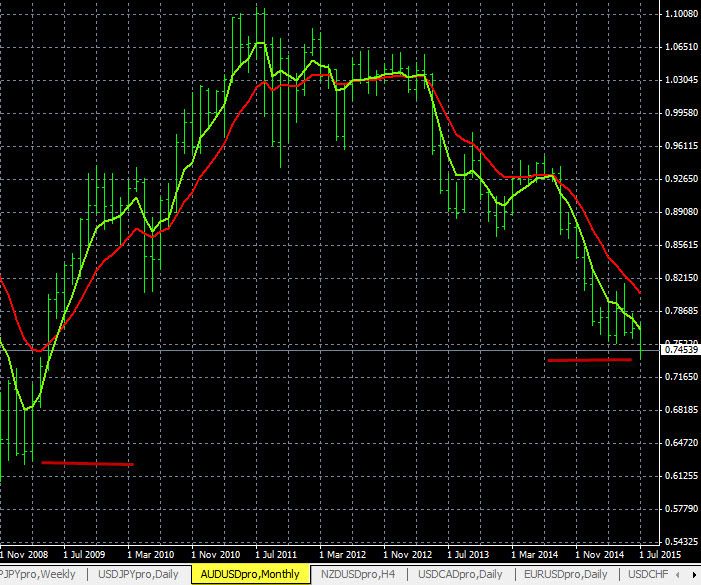 The trend indicators shown below on the AUD/USD indicate the trend is down on the largest time frames. The time frame shown on this pair is the MN time frame. The current support on the AUD/USD is 0.7870, denoted by the yellow line, you can set a price alert here. When the alert hits you can check The Forex Heatmap® for a sell signal. This pair has plenty or room to drop below there, there is no nearby support levels past there. These trend indicators are exponential moving averages that can be set up on any Metatrader platform. 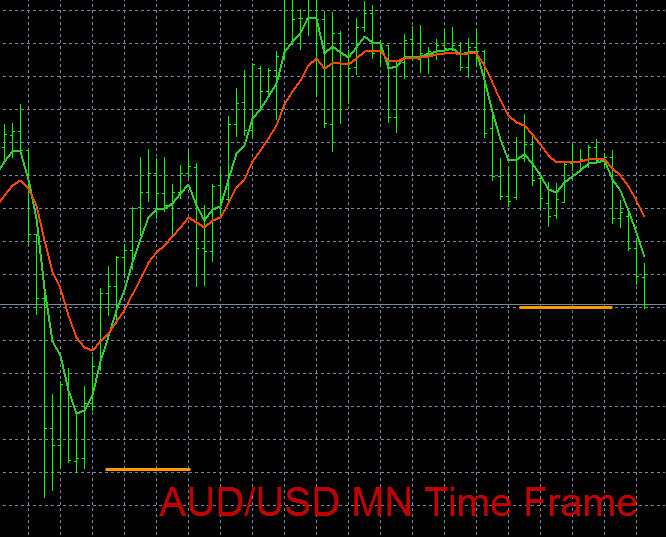 The AUD/USD is trending down on the larger time frames, like the MN time frame shown below. The current support level is at 0.8565, shown by the yellow line on the right. You can set a price alert at this level here on your trading platform. 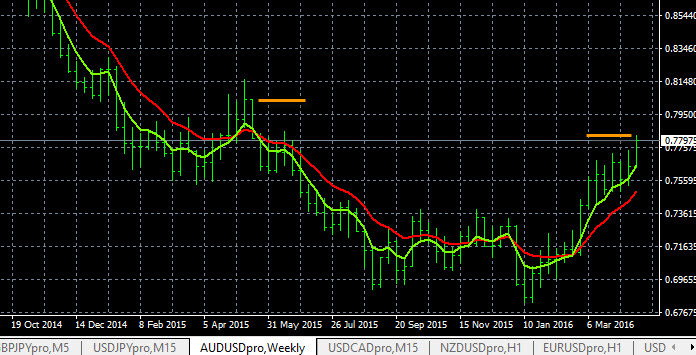 When the price alert hits check The Forex Heatmap® for AUD weakness or CAD strength, or both, to verify a sell trade. The next support level is at 0.8300, which is 265 pip below the alert price. There is an additional support level below there at 0.8100. The trend analysis you see below was done with exponential moving averages and using multiple time frame analysis.